Canadian solution provider Millennium 1 Solutions has been bought by Dimension Data and its subsidiary Merchants, a long-time leader in the contact centre industry. After several years under the global private equity firm The Gores Group, it was time for Millennium to move on, Tom Band, Millennium’s CEO told CDN. Tom Band, CEO of Millennium 1 Solutions. 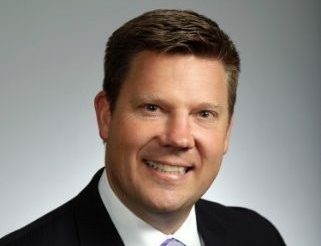 George Todd, Merchants’ current managing director George Todd, has been appointed CEO of the expanded Merchants Group. Millennium provides contact centre, credit card, and back office and administration services to Canadian organizations in the financial services, insurance, and retail sectors. Merchants, which is part of Dimension Data’s CX and Digital Workplace practice, is one of South Africa’s leading customer management solution providers that designs, builds and operates contact centres across the globe. The acquisition from the Gores Group was for an undisclosed sum, according to a press release. 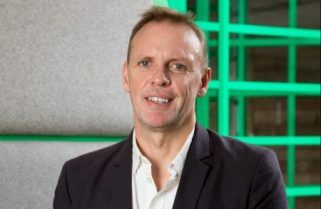 The deal made a lot of sense for them too, said Merchants’ current managing director George Todd, who has been appointed CEO of the expanded Merchants Group. “This is a journey we’ve been on for three to four years,” Todd told CDN. “We’ve been looking for a partner that understood the transformation of not only the contact centre, but the customer experience in general. The deal will allow both companies to simultaneously push further into the Canadian market, said Band and Todd in a phone interview. Merchants considered acquiring other Canadian companies, added Todd, but Millenium proved itself to be one of the “best” business process outsourcing solution providers in North America, where Dimension was specifically looking to make an acquisition. He also placed a lot of emphasis on Millennium’s familiarity with telcos, and said the acquisition gives them both an opportunity to make a significant impact. Todd said Millennium understands that the omni-channel experience is what customers want, and that balancing real live agents with custom apps and chatbots isn’t a strategy that’s been widely adopted by telcos. But, he added, they seem to have one of the biggest appetites for change. “Telecommunications is probably the vertical we see the most willingness to innovate and transform,” said Todd.